Buying a violin is a serious decision that a beginner or advanced violinist can make because it is an expensive investment. And to an untrained eye, violins may look alike but in reality, there are various types of violin in terms of size, quality, make, and sizes. As someone who is at the early stage of violin playing, it will be beneficial to read about student violin reviews. Here, we have created a guide to help you, whether you are a beginner violinist or an intermediate one, taking into consideration the affordability and quality of violins. This article includes fifteen best violin brands for beginner, intermediate or advanced players, as well as violin reviews of some of the best student models on the market. What Are the Best Violin Brands? What Are the Best Beginner Violins? What Are the Best Intermediate Violins? What’s the Difference Between Beginner, Intermediate and Advanced Violins? How Much Money Should You Spend for a Beginner or Intermediate Violin? So, before you spend a hundred bucks or more, be sure to read this violin buying guide so you can make an informed decision on how to buy a violin. Looking at the cost, durability, and sound quality, we’ve gathered and listed some of the best violin brands for beginners and intermediate students to help you out in your search for the best starter violins. Stentor is one of the most popular violin brands on the market, providing a range of long-lasting, and high-quality instruments. It is a Chinese violin brand that is proud to offer handcrafted violins that are not out of reach for those that need to be careful with their budget. Stentor is often suggested by violinists and violin instructors as one of the best acoustic violin brands. If you are still asking “what is the best violin to buy?”, you may want to consider this brand. Mendini is another low to mid budget violin brand, that is ideal for beginners and those still at a lower grade. They might be factory made, but the instruments offer good value for money and produce tones of a medium quality. Mendini violins were created out of the company’s desire to provide good cheap stringed instruments for budding musicians and performers. We would not leave out Cecilio in our list for beginner’s best violin to start with, as they are one of the best violin companies that keep on producing good budget violins for sale. Cecilio violins win affection from violinist of all levels, with their handcrafted violins and best quality bows. Fiddlerman instruments are blowing away its competitors because the makers produce only the best violins in the market. Fiddlerman – Pierre Holstein, himself curates and tests the violins they produce. He is a professional orchestra player with 40 years of experience. Made in China, Franz Hoffmann violins are beautifully crafted, with a brilliant, dependable, and consistent tone. You will stand heads above other beginner violinists in orchestra with one of these reliable instruments. Their superior violins are guaranteed as the best quality instruments for their price range. Beloved by many, the Franz Hoffmann beginner violin line is the exclusive line promoted at SHAR. Based out of North America, SHAR Music is a trusted violin dealer, so you can have confidence in their expert advice. They work hard to ensure that you are never coerced into buying what they call a “VSO” or “violin shaped object”, but a properly functioning beginner violin. If you are willing to pay a bit more for your violin and looking for the best violin brands for advanced student, the Carlo Lamberti, also by SHAR music, is a great stepping-stone out of the beginner to advanced beginner violin category. Many great violin teachers consider this Carlo Lamberti violins to be the best violins for intermediate and advanced students, and we have to agree. Kennedy Violins, founded by Mr. Joel Kennedy as a response to his observation that many new violin students are using Violin Shaped Object (VSO). He felt that these VSO’s actually hinder learning instead of being a vehicle to learn violin playing. D Z Strad, also known as D Z America, is a leading American violin maker and music store for string instruments. They have a wide variety of classic and contemporary violins. This is one of the violin brands that we would not leave off the list for its remarkable playability at a price that will certainly not break the bank. Cremona instruments are made in Asia. They are Chinese violins that are one of the first violin brands among major violin manufacturers to import in USA. Cremona is an award-winning company that was founded in 1989, and is renowned for making high quality violins. It might be a little expensive for beginners but if you want to have a highest rated intermediate violin, you’ll never go wrong with Cremona. If you are looking to purchase a violin with a maker’s name attached, consider buying a Scott Cao violin. Master maker, Scott Shu-Kun Cao has crafted top-quality instruments and that musicians love all around the world. He is rightly considered one of the best contemporary violin makers in the world. With such a reputation, you can relax that any student model sold under his name will be of the highest quality. As a maker of all sorts of musical instruments and one of the best contemporary violin makers, the Yamaha Corporation has become a household name for good reason. Yamaha’s corporate philosophy states that they are committed to creating worldwide excitement and cultural inspiration for making music. Primavera is another good violin brand for students who are just starting out on their violin journey. Primavera violins are suitable for children and beginners. They are a class above other cheap beginner instruments and represent rightful value for money. Primavera violins are very popular in schools and with music instructors, particularly as they come in a wide range of sizes that will suit different students. Knilling is a relatively good quality violin brand for a reasonable price, which is certainly great for families who are on a tight budget. Made by various luthiers around the world, they sell different types of violins that are selected and integrated under one brand name. Knilling violins are made predominantly in Germany, Czech Republic, and Romania with the highest quality woods. Knilling violins are known for their quality and tone. Windsor violins offer a reasonable quality instruments for those on a budget and are primarily aimed at the beginners and student market. The majority of their violins are factory made, with just a small number of models handcrafted. All Days Music, otherwise known as ADM, is a professional musical instrument supplier with overseas factories that deliver beginner quality instruments for a low price. Currently, they have one line of starter violin, which is perhaps the lowest priced beginner violin set available on the market. Looking at the cost, durability, sound quality, and best value for the money, we have gathered and listed some of the best violins for beginners to help you out in your search for good quality student violin brands, as well as best beginner violin for adults. The Mendini MV200 is the perfect, all round good budget violin. It will not produce high-class, music-hall performances, but will allow students to transition easily into the world of violin playing. Made with spruce top and maple for the back and sides. Bowhair is made from high quality Mongolian horsehair. The kit has everything that you will need to start your lessons. Comes with bow, case, rosin, chin rest and a shoulder rest. Alloy tailpiece with 4 integrated fine tuners. May last through the early stages of learning, perhaps to grade 4 or 5th level of learning, with an enhancement or two on the way. Although the violins are low in price, they are durable and will see students through mid-range grades when it will be time to invest in a higher quality model. Mendini violins might be frowned upon by some professionals, due the quality of both the violin and bow. As the violins are not handcrafted, there will be minor fine tuning and adjustments to be made in order to get the best sound possible. And although you will pay a lower price, you are likely to have to replace the strings at some point as the quality is not as good as it could be. However, for children learning the basics of the violin, this is not a big issue because the main concern for beginner children is how to get them to focus on learning and playing. Maple fittings (fingerboard, chinrest, tuning pegs). Alloy tailpiece with fine tuners. Hand carved with solid maple back and spruce top. Comes with extra violin bridge, hard case, brazilwood bow, and rosin. Little quality control, but once you have settled into playing it, you will be able to develop a better sound for the amount you will pay. Be warned that even if it’s nice that it comes in variety of colors, the extra layers of varnish and paint can hinder the sound quality – making it muffled. Mendini offer a range of funky colors and cases that may appeal to a reluctant learner. Mendini violins are fun and functional, but above all good value for money for what you get. The MV300 is probably the best Mendini violin for families on a budget, who would otherwise be put off encouraging children to learn an instrument. The Franz Hoffmann Amadeus violin outfit has everything you need to start playing the violin. Made from selected solid maple body and spruce top. Ebony wood Guarneri style chinrest, and pegs. Strung with Overture premium strings. Tailpiece with built in fine tuners. Outfit comes with a Toshira shaped case, SHAR mini rosin, and an A. Schmidt workshop bow. Not available in funky colors if that is what you are looking for. Some music stores sell this instrument without case, and other accessories. We appreciate that each Franz Hoffman violin sold by SHAR is set up in their Ann Arbor, Michigan shop, so you can rest assured that your violin will be set up for highest playability with a 1-Year limited Warranty with a 30-Day No Hassle Return Policy. The Bunnel Pupil is a good violin that is perfect for all ages. 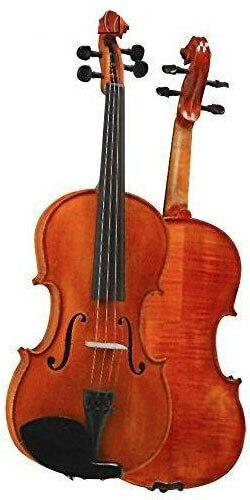 Many consumers say that with the quality it offers, it can be ranked as best starter violin for adults. Produces mellow, warm, sweet sound. Rich chocolate-brown with hints of red varnish in matte finish. Includes Portland oblong case, Giuliani brazilwood bow and rosin, polishing cloth, classic shoulder rest. Some say that the shoulder rest included in the kit is prone to cracking or breaking. Accessories such as straps of violin case is not of high quality. With the Bunnel Pupil student violin outfit by Kennedy Violins, you get a top beginner violin at a price that will certainly not break the bank. The D Z Strad Model 101 is not recommended for intermediate violinists, but is perfect for starter violinists. Top is made from carved select spruce. Back and sides are figured using maple, with ebony fingerboard and fittings. Tailpiece is set up using Wittner-style with 4 fine tuners. Outfit includes violin case, brazilwood violin bow, rosin, and a shoulder rest. Available in 4/4 (full size), 3/4, 1/2, 1/4, 1/8, 1/16, 1/32. Some advanced and intermediate violinists say that this is one of the violin brands to avoid due to its sound quality. But personally, I would be very happy with it as a beginner. The price of the Cecilio CVN-300 violin set is pretty reasonable considering that it includes all the necessary stuff in violin playing. Crafted with solid maple back and sides, with carved spruce top. Hand inlaid purfling with antique varnish finish. Fingerboard and violin fittings are made from ebony. Outfit includes a case, rosin cake, extra violin bridge, and two brazilwood bows with genuine unbleached horsehair. Some violinists report that one or two pegs slip from time to time which may pose a challenge for beginner violinists. The rosin and the bow included in the kit is not intended for professional use and may seem like of low quality. Beginner violinists can benefit a lot with this Cecilio violin as it is affordable and can be played by starter violinist to intermediate players. For over 30 years, the SV-175 model has been Cremona’s highest rated beginner violin because of the value it offers – combining playability, tone quality, specification, and price! Strung with USA made D’Addario Prelude strings. Oiled neck for smooth and better playing. Lightweight hard tailpiece with 4 fine tuners. Outfit comes with a violin case, violin bow, and rosin. Requires tuning time to time. The hygrometer in the case tend to not work properly. Some violinists say that this violin requires constant tuning due to pegs slipping. But with our in-depth violin tuning guide that’s no issue anymore. The Student I by Stentor is probably the best violin to learn on. It offers consistent performance and a high quality tone to enhance the learning experience of the student. Mid brown varnish – giving it a natural look. Comes with an oblong lightweight case. With composite tailpiece, and integral adjusters. Comes with a good student violin bow. Includes a lightweight violin case with safety reflectors. 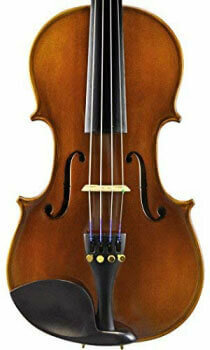 This Stentor Student I violin is an instrument carved from solid tonewoods with good quality hardwood fittings. The package includes a reliable violin wood bow and perfectly-designed lightweight violin case with external pockets for music sheets, shoulder rest, and interior bow holders as well as backpack carrying straps. In conclusion, it is one of the best Stentor violins on the market for students and definitely a top rated beginner violin. The CVN-500 is one of the most popular Cecilio violins on the market. It might not be as affordable compared to other cheap violins, but for sound quality, it is really worth it. Hand carved one-piece flamed solid maple back and sides; solid spruce top (premium wood aged to perfection with a minimum of 7 years). Ebony fittings (fingerboard, chin rest, pegs, and tailpiece with 4 gold plated fine tuners). Strung with D’Addario Prelude strings. Comes with a high quality case, brazilwood bow (with pearl inlaid frog), and extra violin bridge. Violin case features velvet interior with padded neck restraint, hygrometers, storage compartments, rosin cake, and durable shoulder straps. Not as low-priced compared to other budget violins. Of course, not as great as some top student violins, but definitely an affordable chance to get your hands on a serious bit of kit. We’ll be upfront in saying that this violin review is as much of a warning as it is an endorsement of this instrument. This violin is made out of tone woods with quality inlaid purfling that will help the instrument stand the test of time and regular day-to-day abuses. Made with rosewood pegs, fingerboard, and chin rest as well as maple wooden neck. Back and sides handcrafted to strengthen the stability. Hand carved with solid spruce top with alloy tailpiece with built in 4 fine tuners. For its low price, it has a decently pure sound. Commonly sold with accessories and everything to start to learn violin playing such as: lightweight carrying case, shoulder rest, music sheet stand, cute cartoon tuner. Set also includes two ebony frog brazilwood violin bows, rosin, as well as an extra set of strings, cleaning/polishing cloth, violin mute, and violin bow collimator. Tends to slip in and out of tune easily. If you want to try your hand at playing the violin and you don’t have a lot to spare, consider this ADM acoustic violin. It is a very low-risk instrument. Let it be known, though, that many teachers and conductors would consider this instrument a VSO, or Violin Shaped Object. If you’re beyond the years of struggling with a subpar instrument, we recommend skipping this one without further thought. After spending months or a couple of years of playing, you’ll realize that at some point, you’ll need a more advanced violin or intermediate violin. While some beginner violins are beautifully manufactured, upgrades are sometimes necessary. In this section, we’ve reviewed some of the top intermediate violins that you can find in stores and online, so that you won’t hold you back with a sub-par sound. Professional players can attest to this violin’s quality and relax in the knowledge that this violin can last long. It’s D’Addario strings offer additional quality and you can have faith in the fact that you will not have to change your bow strings frequently. Hand carved one-piece flamed solid maple back and sides, solid spruce top. Comes with a good quality case, rosin cake, brazilwood bow (with pearl inlaid frog), and extra violin bridge. Violin case features velvet interior with padded neck restraint, hygrometers, storage compartments, and durable shoulder straps. Certainly priced higher than other entry-level violins, but worth the price. This top quality Cecilio violin will last many years and can be handed down through the family, making it a great sentimental buy as well as something that will provide years of great music. The Fiddlerman Concert is a big, bold-sounding violin with a great hand feel. It has precisely-functioning components and a cool, inspiring look. Crafted and underwent 10-point inspection before being sold in stores. Made with solid, hand-carved spruce and maple tone woods. Finished with hand-rubbed spirit/oil, not with thick lacquer. Created with ebony fittings (tuning pegs, fingerboard). Violin comes ready to play out of the box. Set up with hand-carved German Teller 3-star bridge and high quality D’Addario Kaplan Amo strings. Strings are precisely measured and placed for comfort. Comes with a violin case, shoulder rest, violin bow, rosin, and polishing cloth. Price is not as affordable as other beginner violins. The Fiddlerman Concert violin may be suitable to those who wants an instrument that has a natural look and tone. It has powerful projection, is bold sounding, and is affordable. Some even say that it looks and feels like an antique Italian violin. If you want to transition from a beginner to an advance violin, you should check this one! Cremona SV-500 is one of the best intermediate violins on the market. The solid body from premium tone woods features an elegant finish, as well as handcrafted points that give this violin the appearance of a violin suited for dedicated violinists. Hand crafted from well selected tone woods (solid maple and spruce), offering clean sound and smooth tones. Ebony fittings (fingerboard, nut and saddle); Swiss-shaped pegs. Bridge made from aged maple; tailpiece with 4 fine tuners. Transparent varnish finish (shaded brown-red); inlaid wood purfling. Provides a very open sound making it perfect for advanced players. Strung with D’Addario Prelude steel strings. Comes with a high-quality case, rosin cake, brazilwood bow (with pearl inlaid frog), and extra violin bridge. Violin case features neck restraint, storage compartments, and shoulder straps. Certainly, priced a bit higher than other intermediate student violins, but worth for the quality of sound it gives. Though these violins are crafted for beginners, they can produce a surprisingly clear tone and are sturdy enough to be a dependable learning instrument. The Cremona SV-500 is the best violin for advanced beginners, and there are no questions as to why this is. Scott Cao is one of the best violin companies you can find when considering quality of the instrument. Unlike other intermediate violins available in this price range, the Scott Cao STV017 has hand-carved tops, scrolls, and backs and the finish is intricately varnished by hand. Completely hand-made with an oil finish. Has rosewood fittings and an ebony fingerboard. The oil finish allows the violin to resonate freely, producing better tones. Has rosewood tuning pegs, which ensures the notes sound correctly and in tune for extended years. Other violin accessories are usually sold separately but can get a discount if bought together. Expensive for beginners, but will allow advancing beginner students to make speedy progress with tone development, consistency, and fast passage. The Scott Cao STV017 is one of the best violin outfits for intermediate players available in the under $600 price range. The Fiddlerman Artist is one of the best violin sets available in the market. It comes with lifetime warranty and lifetime free adjustments. Violin is ready to play once out of the box. Set up with high quality D’Addario Kaplan Amo strings and hand-carved German Teller bridge. Does not sound very affordable for beginners, but quality speaks for itself. The Fiddlerman Artist may be the best outfit if you are worried about how long you can use this instrument. Why? Every Fiddlerman instrument is sold with lifetime structural warranty and lifetime free adjustments. You just have to contact the maker so you can make huge savings on repair and maintenance! Many violin instructors can attest to the fact that the Louis Carpini G2 is one of the best violins for advanced players. Cool looking violin – one look and it would make you think that it is very expensive. Offers sounds that is of highest quality. Outfitted with D’Addario Prelude strings. Comes ready to play, kit includes bridge, Brazilwood bow, rosin, hard case lined with velveteen cloth. The Kennedy Violins’ official webpage says that they charge an additional shipment fee for orders outside the US. The Louis Carpini G2 is no doubt a good intermediate violin. Offered by committed violin makers and luthiers, you can never go wrong with Kennedy Violins! The D Z’s Strad Model 220 is a good choice for a student intermediate violin. Aside from its best quality, it is popular to advanced violinists who are looking for a violin with sophisticated tones. 100% handmade, adjusted, and varnished. Its top is made from selected spruce. The violin sides and bottom plate are made from maple. It is naturally air-dried for over 10 years. The bridge is made from hand-carved maple. Fittings are made from boxwood, with ebony fingerboard. It is set up with Dominant strings. Comes with a violin case, rosin, bow, and shoulder rest. Quite expensive for those who have a tight budget, but provides best quality open tone. The D Z Strad Model 220 violin is an excellent value for money and will not leave you feeling that you have lost your money. After all, it is one of the highest rated violins in the country. The Model 5 by Yamaha is a great example of what makes a violin best for the student. This top rated violin outfit offers everything a student needs to easily travel with their violin, practice and perform. Of course, it is nicely priced as well, and offers Yamaha’s 5-year standard warranty! The Yamaha Model 5 comes in a spectrum of sizes. Appropriate for beginners of all ages. It has a durable top made of spruce. This violin offers carved maple back. The sides are from whole sheets of maple. It also offers a premium fingerboard made of ebony as well as rosewood pegs and chin rest. The outfit comes complete with bow and rosin. This student model also comes with 4 fine tuners to facilitate ease of use as the student is learning how to tune their instrument properly. This type of violin is not likely to be sufficient enough for those who are heading towards higher violin grades, but will certainly be sufficient for those who are showing an interest in learning. If you are interested in a student brand with a tradition of finely crafted instruments, consider Yamaha in buying your first violin. There is a reason that Yamaha has been vetted by teaches and conductors for many years – they belong to the list of good violin brands for beginners. Cremona SV-800 represents a fine workmanship with clean, and neat inlaid wood purfling. As with all top Cremona violins, it is crafted following the finest Italian tradition achieving an exceptional tone for frequent playing. Hand crafted from selected solid maple back and spruce top producing rich tone. Fingerboard made with genuine ebony. Neck and scroll made from maple. Trimmings are hill-styled from finest boxwood. Strung with Thomastik Dominant Strings. Comes with a high-quality case, rosin cake, resilient Pernambuco bow (with genuine horsehair), and extra violin bridge. The violin case is a lightweight oblong-shaped case with plush interior. Quite expensive for beginners, but provides a high quality and sonorous sympathetic tone. We love the care that Cremona luthiers put into their work, as their violins feature quality spruce, maple, and ebony wood. German and Italian masters train all of their luthiers in the old tradition. Master Shang C. Guan, who is an award-winning bow maker in the French method, crafts the bows included in this outfit. Every violin and bow are a continuation of the traditions that produced the best and longest-lasting instruments. Hand-crafted by the SHAR Beijing Workshop and set-up at SHAR Ann Arbor Workshop, the Lamberti Sonata model has set the bar for intermediate level violins. The Carlo Lamberti Sonata violin is indeed the best in class for those who have made a commitment to learn the violin. It allows new students to have a bright, clear-sounding violin that is very sweet to the ear. Provides exactly what a violinist wants from a high quality violin: remarkable performance, an outstanding finish, and an exceptional value. With premium fittings (pegs, fingerboard, chin rest) and strings. Provides powerful and rich tone that will delight the student, especially those who has grown used to the limitations and deficiency of some beginner violin. For the serious student who wants to advance to a leadership position in youth orchestra, or score the top marks in their exams, the Carlo Lamberti Sonata violin is a great choice. Many critics use the term ‘beginner violin’ as synonymous with low-grade quality violin. Some equate it to cheap price. Indeed, in the past, beginner violins are just viewed as a Violin Shaped Object (VSO) because they are made with generally low-grade wood, built in a factory, and may be of low quality. And while it doesn’t sound something that you would buy, beginner violins are perfect for students who are not fully decided to go down the road of continued violin playing in the next couple of months/years. In recent years, however, quality manufactured starter violins that can inspire and help encourage new student progress are made available in the market. 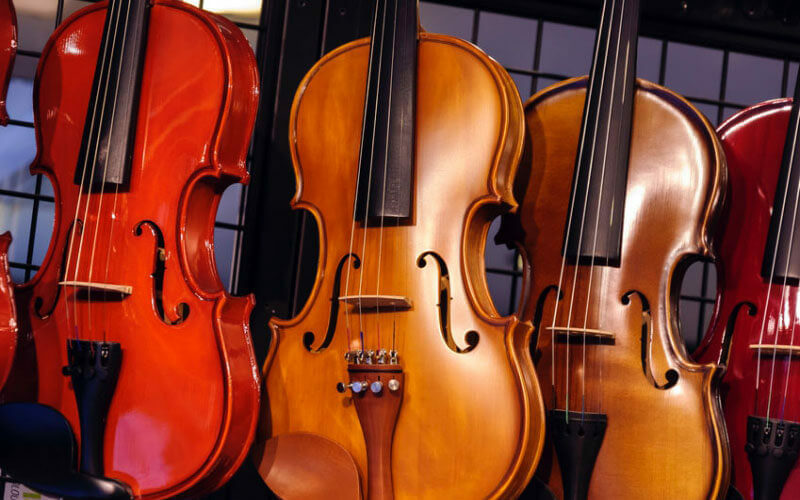 In response to a growing concern about the quality of mass manufactured beginner violins, some violin companies decided to create a new classification of violins for more dedicated students. They realized that some cheap VSO don’t last long, and that some students decide to pursue further violin studies, hence they called these set intermediate violins. These are the kits that are made of average to high quality tone woods, as well as strings, and with playability that is not subpar. Most intermediate violins feature maple or spruce wood finish with ebony fingerboards, and fittings, and are usually been checked out by a qualified violin master or luthier. Advance violins are a classification where some aspects of playing character start to show. They are sometimes considered as performance type violins that are used by graduate violin students to professional performers. Depending on companies and countries, violin classifications may vary, in some areas, people tend to classify student violin as beginner and the rest are all professional (they consider advanced and intermediate as one). While classification varies, there isn’t any straight to the point accurate comparisons. It is generally subjective to a listener, viewer, or individual buying the violin. In every choice we make, we should always strive to pick the best one. And getting a starter violin is something that you need to consider seriously, because buying on a whim may result to wasting a lot of money. In general, there are different violin brands on the market that can suit all budgets, some beginner violin brands that start at around $35 (yes, believe it or not, there are affordable violins! ), intermediate violin brands under $200 or under $500, to $8,000 (professional violins) and above (handcrafted violins with hefty price tags). You may feel an insurmountable desire to buy the best sounding violin, or a coolest looking violin, however, we suggest that for starters, think about how realistic that would be for you, in terms of affordability and frequency of use. Example, if you are just checking if violin playing is for you and you are not sure that you will do it in the long term, you might want to get an inexpensive one – ranging between $100 to $200. For a more committed violinist, you can spend more on your first violin and at the same time get a best sounding violin. If you have picked a violin to buy, one of the things to keep in mind is choosing the best place to get a new one. The secret to get the most of buying a violin either online or in-store, is knowing if a store is reputable, genuine, and authorized in selling violins. That way, you can be rest assured that you can buy a good quality product. To help you, here are our tips in buying a violin, be it through a physical store or an online shop. The good thing with getting your new violin from physical store is that you can do a test sound – you can hold the violin firsthand and maybe ask some questions to the luthier or the company that sells the instrument. In buying in-store, check not just the quality of the sound, but the finish as well. Also, don’t forget to assess the bow, strings, violin case or rosin. While seeing is not always believing, hearing might be. And sometimes, the perfect violin just chooses you – like, love at first sight. Buying or ordering stuff online is in fact, a convenient way to get products without having to travel to a physical store. You can even compare prices from one site to another and read violin reviews. However, buying a violin online can be a challenge because you are getting a musical instrument for its sound qualities. While video sound samples can be requested to some online stores, it is best to be able to hold and personally test a violin. Fortunately, some violin companies offer home-trials and refunds. Just be cautious though, that some bad eggs exist in the world, sometimes, you’ll never know if it is just a scam or not. So, our advice, if you want to buy online, do your research first. Although, reading this article is a step that will help you get the most out of your search for the one violin to start your journey with. As much as I’d like to pick one of the best student violin brands from the list, I’d rather not to. Why? Because purchasing a violin is exciting and is a very personal experience, what one person may see as a must-have feature, others are not so keen. This list serves as a guide to let you know about violin types and some of the basic features the brands offer. But, it is not limited to what is written here. Use your ears to guide you as you make your choice. Oftentimes, you’ll find that an instrument that has a lower price also has a more beautiful tone. Furthermore, you can ask your friends about violin brands to avoid. You may also want to get advice from your violin teacher or somebody who is experienced in buying musical instruments. Ask them what is the best violin for beginners. The most difficult decision often comes down to how far you want to stretch your budget and if you are willing to settle for a lower quality sound, for the sake of not splashing out too much. Be careful, too, that you do not buy an instrument based only on its brand name. There are many instruments that are marked up because of the name of a company and they are made in a factory somewhere out of lower quality materials. Ask yourself if it is a good idea to take time to think about where you would like to take your violin playing: are you just playing for a bit of fun, or are your serious about progressing through your grades? Remember, you are not looking for best violin for professionals right now, instead, you are searching for the best beginner violin. However, at the end of the day, you or your child will be the one using the violin so you need to trust your instincts about what is the best violin brand for you. Thank you for reading our violin reviews and we will see you next time!